Have a friend who loves to laugh? 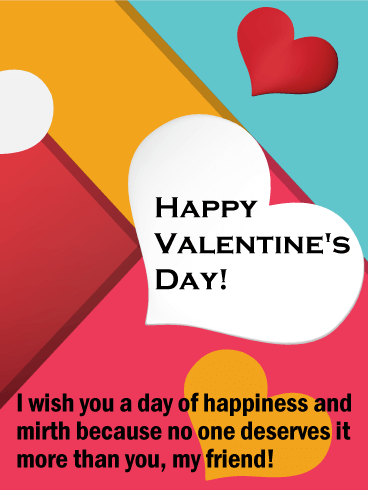 Then it would just be plain wrong to not share this silly card with them! 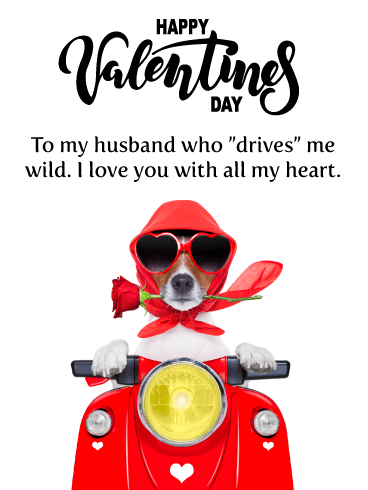 Send your pal the topical Texting Cupid Funny Valentine’s Day Card. It will let them know that even if Cupid doesn’t follow through on finding their soulmate cause he’s too busy posting on his phone- hey! 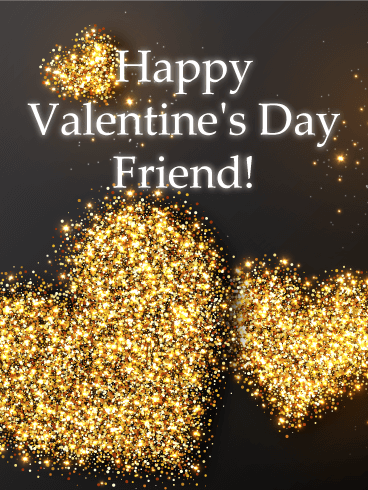 They’ve still got your awesome friendship! 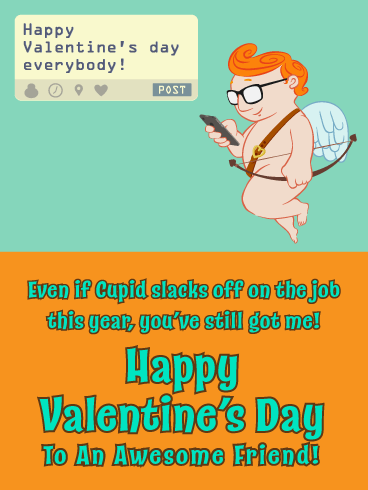 Even if Cupid slacks off on the job this year, you’ve still got me! 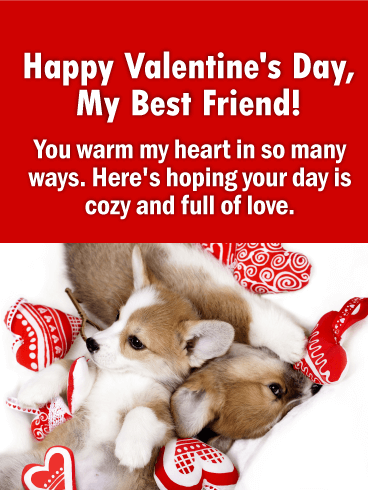 Happy Valentine’s Day to An Awesome Friend! 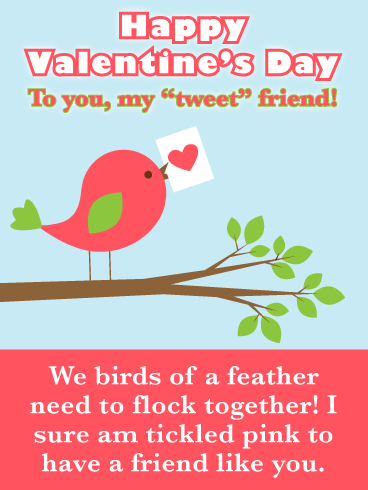 For an especially near and dear friend, say it with a poem! 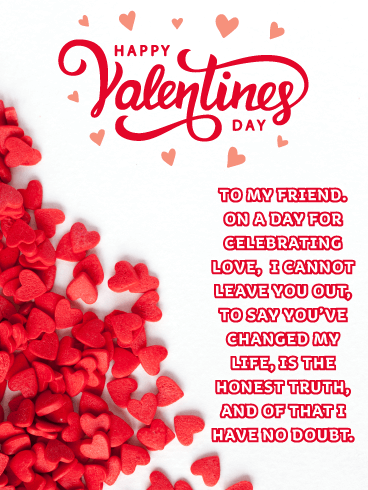 Send the Candy Hearts Happy Valentines Day Wishes Card to your bosom buddy to honestly and sincerely let them know how much they’ve changed your life for the better. 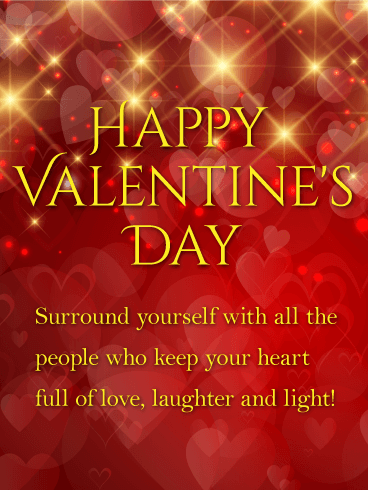 They will be so filled with love when they receive this special card and read the heartfelt poem’s message. The phrase“to view the world through rose-colored glasses” means to have a cheery, positive outlook on life. 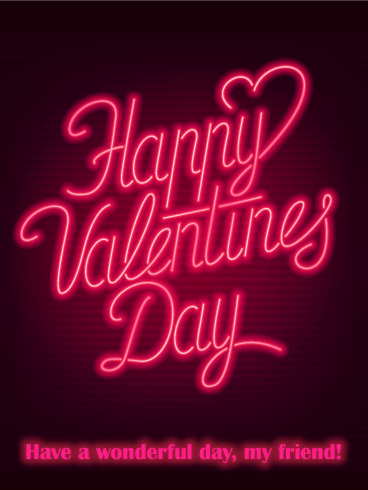 That’s definitely the kind of mood you want to set on Valentine’s Day! 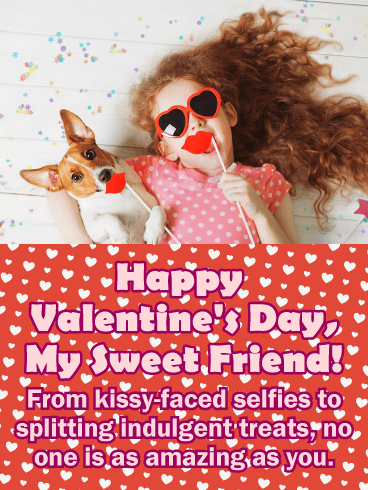 Send your bestie a good laugh this Valentine’s Day with this cute card! 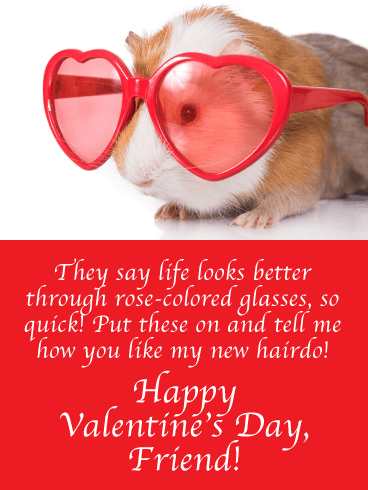 Featuring an adorable guinea pig wearing heart-framed, rose-colored glasses is sure to crack your friend right up! 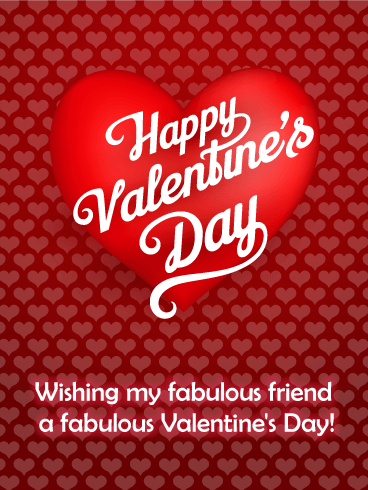 Valentine's Day is a time to celebrate all the forms of love in the world, and friendship is one of the strongest. Built on trust and laughter, encouragement and advice, it's a bond that shapes who we are and who we will be. It's a love the shines differently than the one between couples, but it shines just as bright and warm. 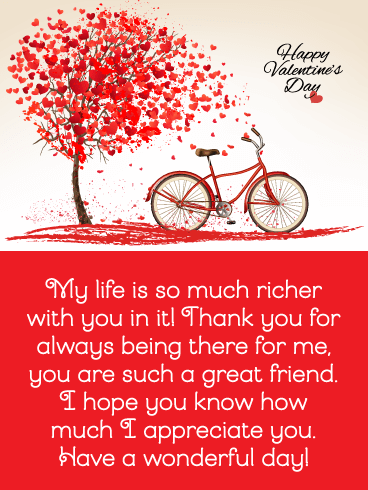 Wish your friend the perfect day for Valentine's Day and let her know how much you care.